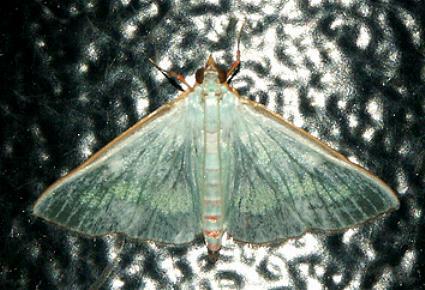 The adult moth of this species has wings that are white with diffuse pale green patches. A brown line extends around the edge of each wing. 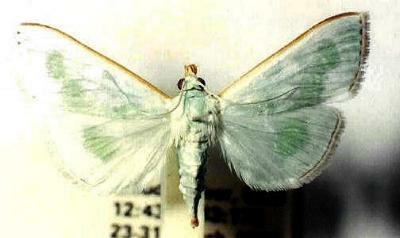 The wingspan is about 3 cms. Volume 41 (1888), pp. 190-191, No. 610. LeapFrogOz, Kuranda, 2015, p. 45.